The Avg. Group Saves 13.5%! 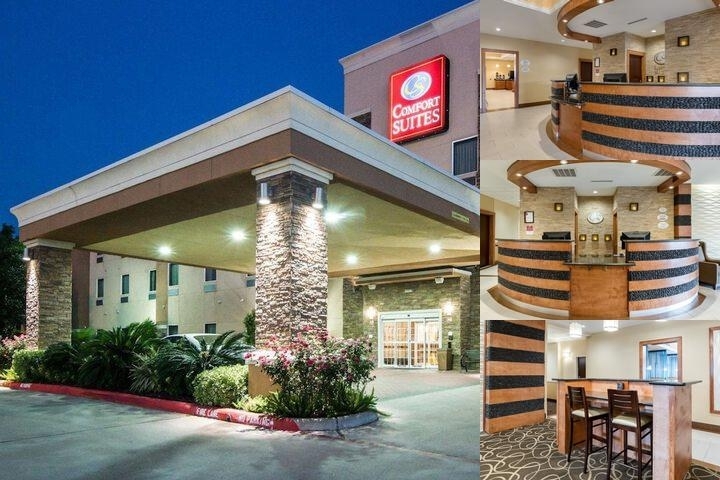 Welcome to the Comfort Suites at Katy Mills hotel in Katy Texas. Many area attractions await you during your stay with us as well as a variety of restaurants options. For our business travelers, our modern business center includes a computer with Internet access, fax and copy machine. 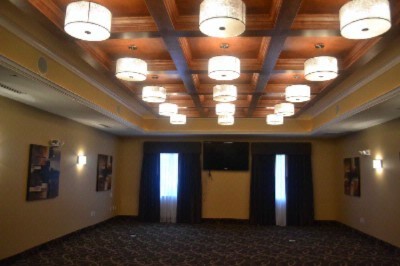 Also on the premise is our state-of-the-art exercise room and a meeting room to hold up to 50 people. You will love our smart and stylish suites which include a pillow top bed, sofa bed, microwave and refrigerator. Relax with our high-definition television set including cable/satellite. The hotel premise is 100% smoke and pet free.Additional laundry facilities are available for guest use. Whether staying in Texas for business or pleasure, our close proximity to area attractions makes us an ideal location for your visit. Book a room with us today! 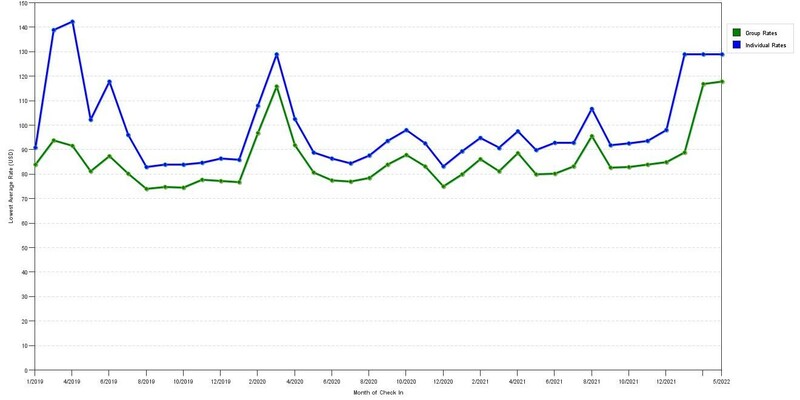 The chart above shows seasonality of prices for both group/meeting rates and the best individual traveler rates we could find at the time the group/meeting bid was placed. The most competitive group rate shown is 34.1% in January 2018 and the highest average individual rate is $142 in the month of January 2018. This chart will show past seasonality and also project future months. If you are flexible with dates, you may want to consider staying at Comfort Suites in a month when rates are lower. Feel free to use the Comfort Suites meeting space capacities chart below to help in your event planning. Hotel Planner specializes in Katy event planning for sleeping rooms and meeting space for corporate events, weddings, parties, conventions, negotiated rates and trade shows. 32 x 22 x 11 Ft.